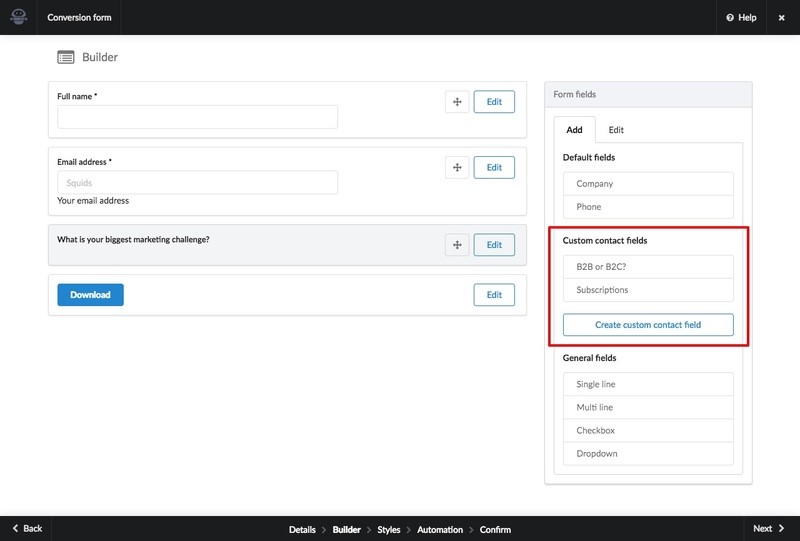 Custom contact fields are available in the conversion form builder to include in your forms and landing pages. There are two types of fields to choose from ‘General Fields’ which are the best choice for general use, and ‘Custom contact fields’ which are the unique properties you wish to capture for your Contacts. 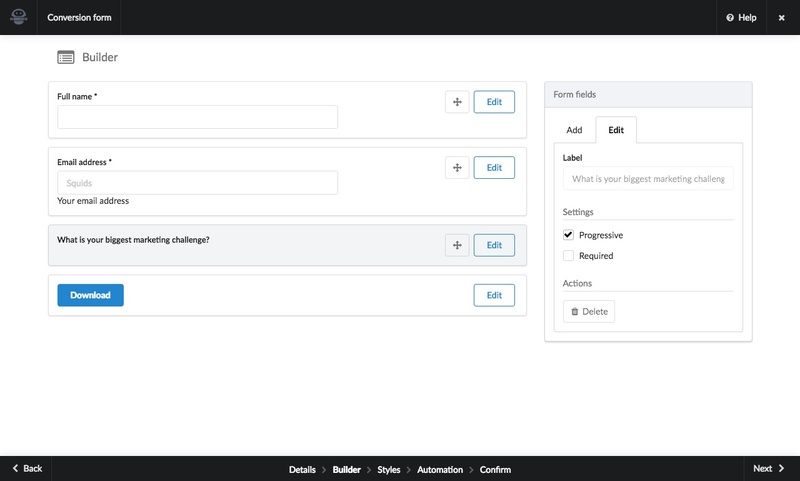 When you add a Contact Field you have the option of making it a ‘Progressive field’, if the field is Progressive then we will only display a certain amount of them depending upon how many you chose to include on the Details tab. This allows you to automatically collect only the information you don’t currently have and prevents asking the same thing twice. For example, if you choose to show 2 Progressive fields (and have built your form with a total of 10 Progressive fields), we will work through the list in the order you have included them and show the first two that are currently unknown.